A very cool thing happened a few days ago, and it reminded me why I love my job. A few of our regular customers, a mom and her son, stopped in the store. The son asked if he could bring some of his own books in to trade and get credit, and he was so excited when we said yes. They went home and came back with a suitcase! He was trading in all of his picture books and young adult books, and he wanted one of the rare books we had on display. His mother said she remembered when he first told us he needed chapter books and now he is reading well beyond his age. He had to go home twice and bring more books to get the book he wanted. He wants to collect rare books that he likes. Very cool day. (He traded for a Tolkien book). Don’t forget that Saturday, June 5th, we will be our book club meeting at 1 p.m. here at the store. Everyone one is welcome to join us as we discuss Charles de Lint’s Dreams Underfoot. Hope to see you there. It should come as no surprise that I had to rush into the store and get a copy of Stieg Larsson’s third novel to the Millennium series, The Girl Who Kicked The Hornet’s Nest. I have been frantically reading it all day, and loving it. Larsson doesn’t waste any time getting you back into the story, it literally picks up five minutes after the second book. The third book seems to be focusing on getting Lisbeth out of her legal problems, and I don’t think this will be an easy task to complete. It does seem that Blomkvist has a plan though, well at least he keeps telling people he has a plan. This book is also giving you more background information on the Swedish governmental and legal systems, which has been fascinating to read about. Their legal system works similar to the United States, but some of the differences make it much harder to prove corruption or even if a person is innocent. I don’t think this book will be quite as action packed as The Girl Who Played With Fire, but I am sure Lisbeth will still manage to surprise us. All and all, I feel like this will wrap-up the trilogy nicely, and I can’t wait to get back home to read. I have been instructed to call one of my co-workers the instant I have finished so we can discuss it, evidently waiting until tomorrow is too long of a wait. If you are looking for another cozy murder mystery, try The Peanut Butter Murders series by Corinne Holt Sawyer. This series is about two sleuths who are living in an up-scale retirement home north of San Diego. The ladies are delightful and charming characters. One is short and energetic and the other is tall and cautious, but together they make a wonderful team. The novels are fairly short, and make for a great afternoon read. Don’t forget, Stieg Larsson’s last novel, The Girl Who Kicked The Hornet’s Nest, comes out May 25th. This is the last book in the Millennium series, and we can’t wait to read it. I was finally able to get my hands on a copy of Alice Hoffman’s Green Witch, and it was even more wonderful than Green Angel. Green Witch picks up about a year after the end of Green Angel, with Green busily writing down all of the townspeople’s life stories. Green decides that she wants to write the stories of the five women who are thought to be witches, and maybe get clues to where a missing friend might be located. During her quest, Green learns of the heartache that others felt after the explosion, and the way people coped with the tragedy. Hoffman, again, perfectly captures the many forms that grief can take, as well as the strength to carry on. What I love about the Green series, is that the characters always find hope and strength with the people around them. Both stories are very inspiring, and I finished each book with an uplifted spirit. Be sure to check out our review on Green Angel as well (see April 25th). 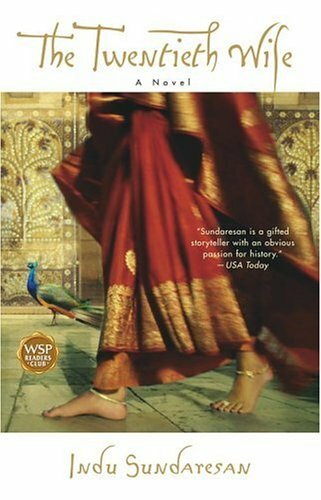 I have to say that I loved Indu Sundaresan’s novel The Twentieth Wife. It is a wonderful work of historic fiction that takes place during the 17th century in India. Mehrunnisa falls in love with the Crown Prince of the Mughal Empire at a very young age, but due to social standing she is unable to marry him until he too falls in love with her. Unfortunately, this takes over thirty years. During that time, Mehrunnisa is married to a cruel military leader and must endure years of hardship. Historically, Mehrunnisa becomes a powerful empress, which Sundaresan captures in her second novel Feasts of Roses. Personally, I found her second novel even more captivating than her first. I loved the scheming and plotting that Mehrunnisa must do in order to stay in power. Not to mention the vivid descriptions of the harem and her royal life. I was never very interested in India until I started reading Sundaresan’s novels, now I find myself drawn to reading more about this incredible country. If you are looking for a good historical fiction read, consider starting the Taj Mahal trilogy. (Sundaresan’s third novel, Shadow Princess, just came out in March and I can’t wait to read it. 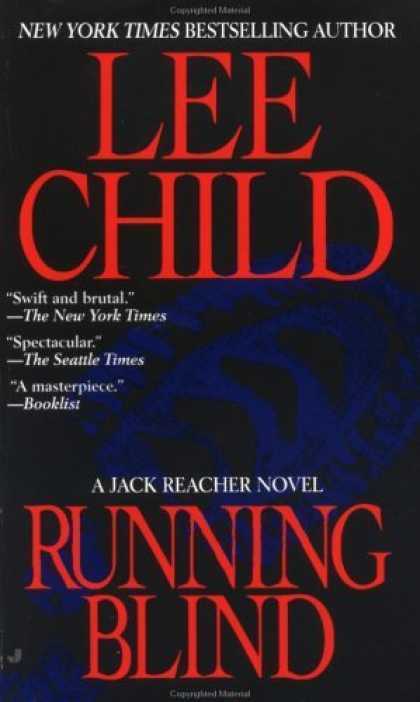 One of my co-workers is reading Running Blind by Lee Child, and the first things he said to me was “Wow!”. 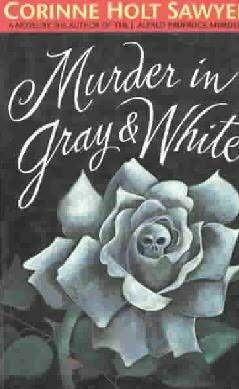 This is another book staring the character Jack Reacher. In this mystery, Jack has to uncover who is brutally killing former army soldiers who were involved in sexual harassment cases. He also needs to discover if this is a military cover-up, or a maniac serial killer. My co-worker said that Child’s attention to detail is just “ridiculously good”. Child not only describes how Jack takes down each opponent, but he also tells the reader why Jack chose that particular attack method. Needless to say, my co-work has been unable to put this book away. I even noticed him carrying it around in his back pocket eagerly hoping for a spare moment to continue reading. Stop in and join our book club discuss this Saturday (May 15th) at 1pm. We will be discussing Snow Flower and the Secret Fan by Lisa See. This novel is about Chinese women who create a language using fans and handkerchiefs in order to overcome the isolation of their daily lives. It should make for a fun discussion. Everyone is welcome, and in case you don’t know our address it is, 6208 E. Speedway, Tucson, AZ. My co-worker who will be leading the discuss has a wonderful description of the book on our Mostly Books’ Facebook page, check it out if you would like more information. Our next book club meeting will be June 5th. We will be reading Charles de Lint’s Dreams Underfoot. This a compilation of urban fantasy short stories. Each story involves an element of magic in the modern world. It is a delightful read. Let us know if you every have a book club reading suggestion. We are always looking for new titles that people would enjoy getting together and discussing.